For those who have not had time to look at my other blog- Please do so now. This site is intended to help Educate, promote, preserve, inform both the professional industry along with helping the home owner. Understand Dry Laid Stone Construction. 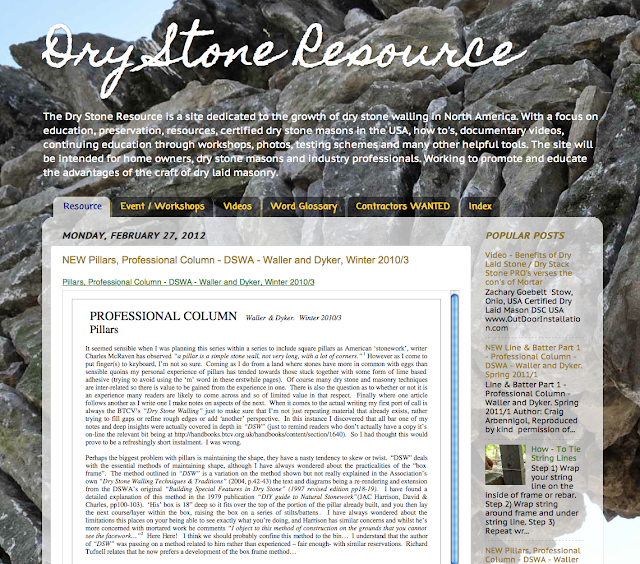 A resource for free listing of Dry Stone Masons in the USA, definitions, workshops, testing, events, along with technical documents and so much more. I'm currently building a list for Certified - DSC or DSWA Dry stone masons in the USA. If you're certified please email me your information.